Ahhhh...summer is BACK! Who else thinks of camping when it starts to warm up outside? I do! So if I could camp any of these three spots in California this summer, I would. Let's see if I can even nail down one of them before the warm days of summer end. 1. 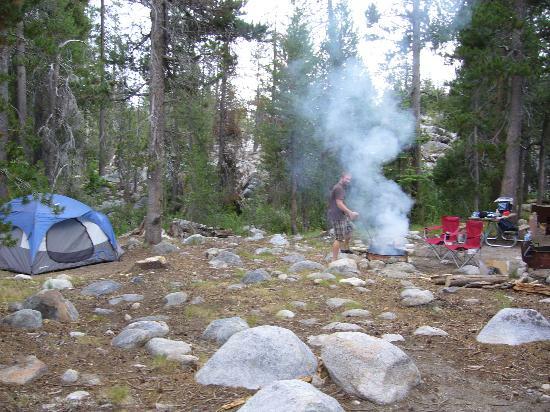 Yosemite National Park - This great park has 13 campsites that are VERY popular in the summer months. You'd be wise to visit them at www.nps.gov/yoset/camping and book your site early. Rates cost $10 and up and this DOES NOT include the price to go into the park itself, $20 a car. 2. Anza-Borrego Desert State Park - If you like your camping isolated and remote then this desert park will suit you just right. But it's not to be taken lightly, it's a desert and remote so be very safe if you do decide to camp here. It's one of the few places where you can off-road camp meaning just drive off into the desert and and make camp where you like. They got over 600,000 arches of such desert to choose from. Check it out further at: www.parks.ca.gov/map. 3. 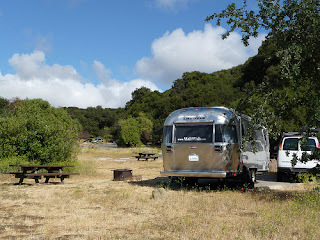 Malibu Creek State Park - If you enjoy your camping close to LA and 10 mins from a convince store then this site may be for you. It's Los Angeles's way of escaping the big city up in the hills of Malibu. They got nice hiking trails, rock climbing and a nice cool creek where you could even fish. On one rock wall you can climb it and if you slip, you fall into the cool creek. Sounds fun! Check them out further at: http://www.parks.ca.gov/malibucreekstatepark. Really there are all nice places for camping. I like to go there. Thanks for sharing. I think that you could add Big Sur to that list. We went camping there 2 years back and it was beautiful and relaxing. There are some great hikes on the beach there as well as some back country trails. Thanks for the commments Jeffrey! I'll have to research Big Sur and maybe do a special blog post about it.